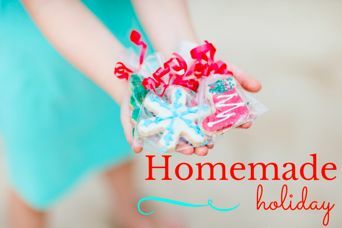 I love holiday baking! I enjoy making boxes of different goodies for our family and friends. 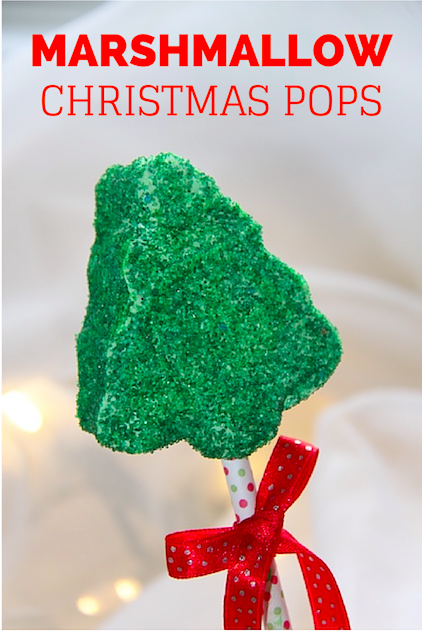 These marshmallow pops are festive and fun, and they are lots of fun for kids. 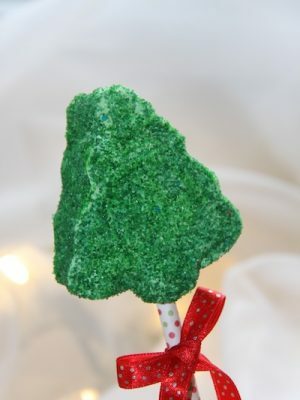 I covered mine with sprinkles, but you can even dip them in chocolate. 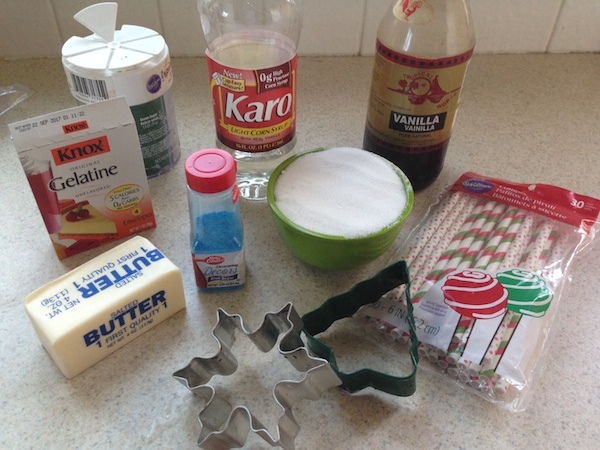 Use a large heavy saucepan to combine the sugar, corn syrup, salt and remaining water. You will want to bring to a boil, stirring occasionally. 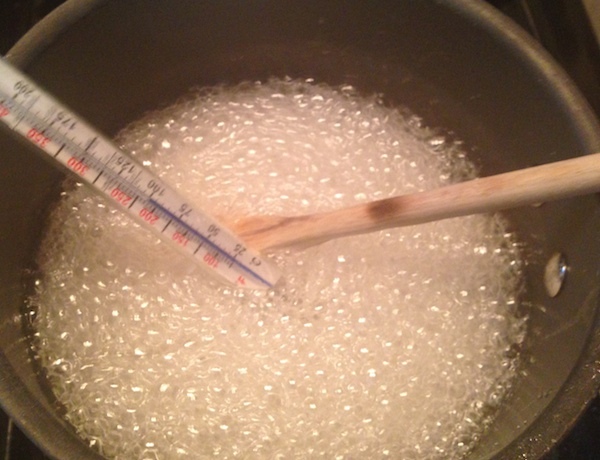 Cook until a candy thermometer reads 240° (soft-ball stage). 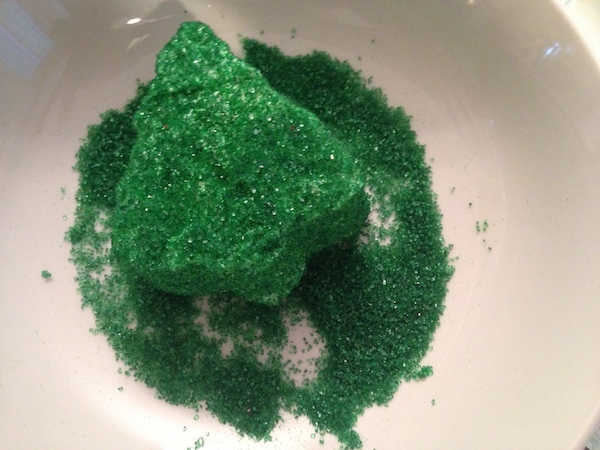 Once it reaches 240° remove from heat and gradually add to gelatin mixture. Once it is all combined mix on high speed with mixer until mixture is thick and doubles in size, it will probably take about 15 minutes. Next, add in the vanilla. 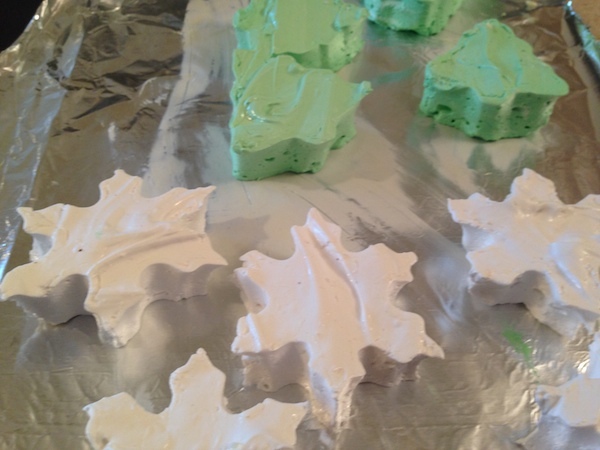 If you want them all white spread into prepared pan. 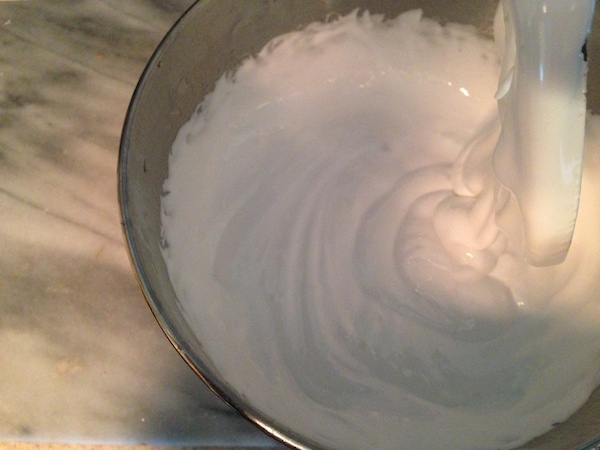 If you want 2 different colors, spread half the mixture into the prepared pan. 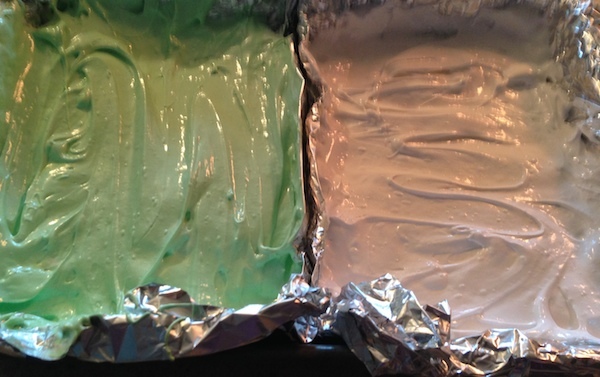 Add food coloring to remaining marshmallow mixture and spread the into the other prepared pan. Keep butter handy it is a must when working with this recipe. I lightly coated my hands with butter and made all the difference in the world. After you have your shapes cover with sprinkles or dip in candy coating (chocolate) then add stick through the bottom of the marshmallow. Cover and let stand at room temperature for 6 hours or overnight. To keep fresh add cello bags and tie off with a bow. Recipe was found at Taste of Home.